You asked for faster shipping and we listened! We’ve just launched a new delivery option that we’re dubbing FASTER! 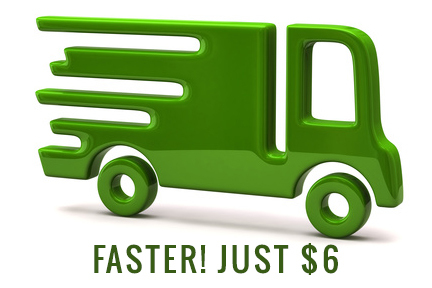 Priced at just $6, our FASTER! service will arrive at your doorstep in 2 to 4 business days after leaving our warehouse. For example, if you live in Pennsylvania and order on Tuesday, you can expect to get your order on Friday, and sometimes sooner. You’ll get the same service for all of New England and most of New York, Florida and California, too! 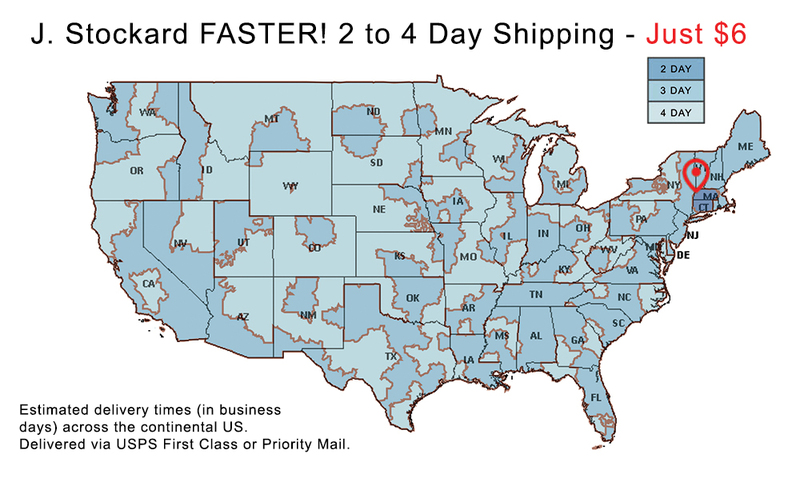 In most cases, your order will be delivered via the USPS First Class or Priority Mail. You can still take advantage of our low-cost ECONOMY service which is free on any order over $100 and $5 for all other orders. And, for those in need of super fast delivery we continue to offer premium expedited services like Next Day. This entry was posted in More from J. Stockard on April 4, 2019 by J Stockard.